Greetings from the Melnyk family, and thanks for having a look around our site. Rangelandz is a true family affair where we're all involved in raising, showing and working our precious Poms...from hands on birthing to photography! We live on a farm in Central Alberta, with our Poms, a few cats, horses, and our guardian llamas, Zipper and Casey. 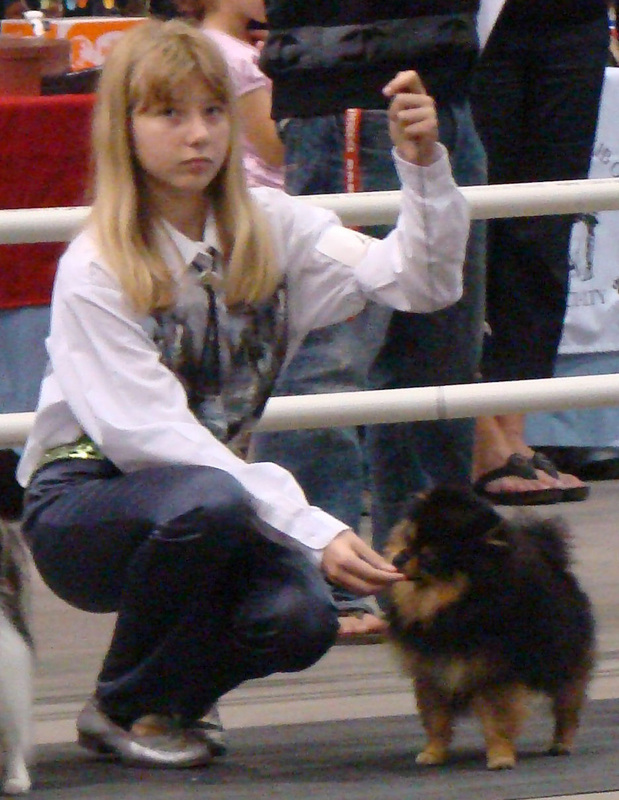 We have been breeders of quality, purebred Pomeranians for almost two decades. All of our puppies have been loved and cared for since the moment they came into this world. They are raised in our home, not a kennel. We have close to an acre of our yard fenced with 6-foot chain link for our poms to enjoy. We participate in activities with our dogs such as showing and agility. In the last couple years, we have developed a Straight Egyptian Arabian breeding program. Due to a previous background in this industry, it was easy to re-discover our love for the Arabian breed. We just finished their website, visit it today. 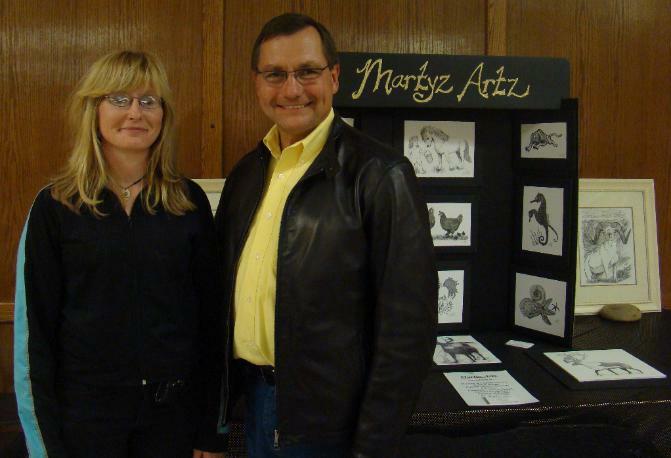 Here's myself with our honourable past Priemer Ed Stelmach in front of my community art exhibit.